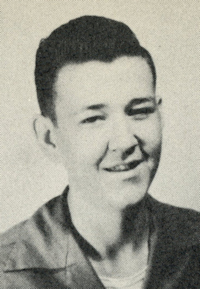 Obituary – Severe, LeRoy Dean « Perry High School Alumni Association, Inc.
﻿Band 49-53, Basketball 49-50, Student Council 51-52, Perryscope Staff 52-53, Junior Play Stage Director 51-52. LeRoy D. Severe, 34, Stillwater, died at 5:15 a.m. Friday at the Medical Research center, Oklahoma City, following a lengthy illness. Funeral mass will be at 10 a.m. Monday in St. Francis Xavier Catholic church in Stillwater. Wake service will be conducted at 8 p.m. Sunday in Strode chapel, Stillwater, with Rev. Joseph W. Howell officiating. Interment will be in Sunset Memorial Gardens, Stillwater. Memorial donations may be sent to Oklahoma Medical Research Foundation, Oklahoma City, for cancer research. He was born near Orlando May 27, 1935, to Mr. and Mrs. Otto Severe, who survive, and married Nov. 21, 1962 in Tulsa to Gail Echols, who also survives. Severe, a Perry high school graduate, received his bachelor of science degree in industrial engineering in management from Oklahoma State university in 1963. He served in the Navy for three years. He has resided in Stillwater since 1962 except for one year at Mr. Vernon, Ohio. 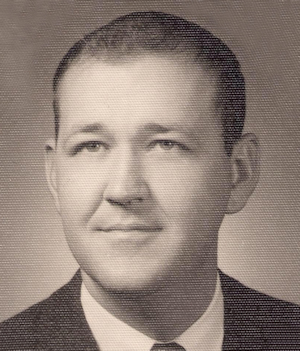 He became head of personnel processing at Oklahoma State university in 1964 and later was director of administrative systems development, a position held at the time of his death. He was a member of the Data Processing Management association, the American Management association, Pi Kappa Alpha fraternity, St. Francis Xavier Catholic church, the evening Lions club and was a licensed pilot. Survivors include his wife of the home: four children, Chris, Ammie, Stephen and Tom, all of the home; his parents of Perry; two brothers, John of Perry, and Don of Russell, Kan.; and one sister, Mrs. Russell (Norma Jean Severe) Vanbiber, Midland, Texas.